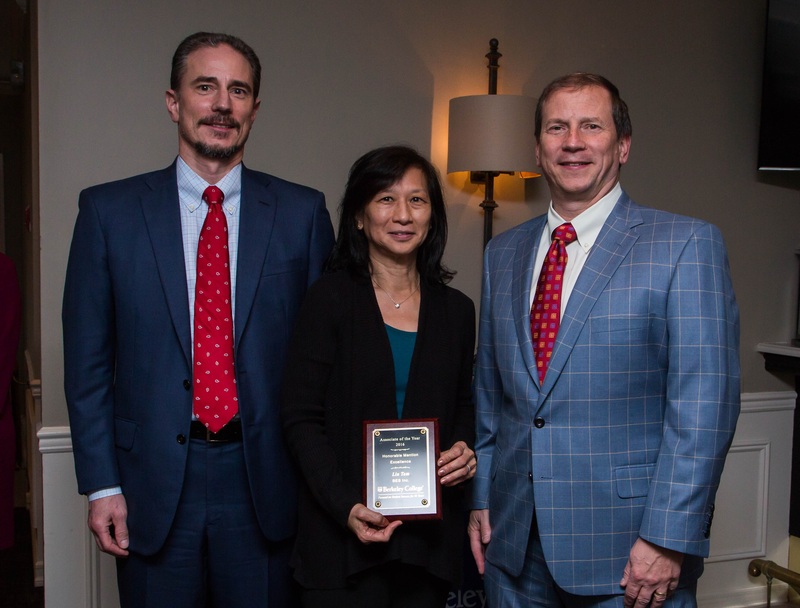 Photo Caption: Berkeley College recently recognized Lin Tam, Associate, Central Support Services (center), with the 2016 Honorable Mention Associate of the Year Award for Excellence. Ms. Tam is a resident of River Edge, NJ. The award recognizes an individual who is committed to and produces the best achievable results. With her are Randy Luing, Vice Chairman (left), and Kevin Luing, Board Chairman, both of Berkeley College.